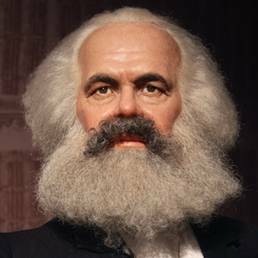 I will have to agree with Marx on this subject and I will add this caveat for Chardonnay and Pinot Noir Lovers- Do not trust California oenophiles that do not like the wines of Kistler Vineyards. There are few things that every major critic agrees on but the quality that this producer has put forth since their first vintage is second to none in the California wine game. We are getting back to our segment of “What I Drank Yesterday” but have been too busy drinking to get around to reviewing wines but we did have time to get the review on the Chateau Lafite Rothschild wine tasting back to 1959 at the end of this offering. Of all the great vintages on the table the 1990 came out in first place this evening and the second place finisher was one of the surprises of the year so far the 1971 came in second! That’s why to host these events were doing scientific work with wine here at Wine Watch! Kistler is one of California's elite wine producers. They have been making wines since the 1980 vintage and have regularly scored 90+ points on every wine that they release with their top bottling making near perfect scores from every major publication that has rated them including Francofile MW Clive Coates. The press on these wines in the Wine Spectator, Connoisseurs Guide to California Wine, The Wine Advocate and International Wine Cellar has been very consistent over the years even though their winemaking style has evolved over the years. Their wines are only available in top restaurants and are very hard to come by in retail stores as they sell 80% of their production direct on their mailing list. Join us as we have a rare opportunity to taste some of the top chardonnay and pinot noir bottling from California. We will be showing a selection of Chardonnay and Pinot Noir going back to the 1999 vintage. Chef Toni Lampasone will be making a few small courses to accompany the tasting wines. The fee for this tasting is $175 + tax, for reservations call 954-523-9463 or e-mail andy@winewatch.com. Crispy Duck Breast finished with 5 spice duck demi & Hoisin Chinese Pes Shoots. Opinions about Kistler are as unanimous as anything can be in a business where subjectivity can be all across the board. Clive Coates, the foremost wine critic in Great Britain, thinks Kistler is one of a handful of California Chardonnays that competes on a world-class level. Robert Parker JR. says Kistler is "clearly one of California's brightest stars"; Connoisseurs' Guide to California Wine, which anoints its best wines with “Puff” ratings, has given more of these quixotic puffs to Kistler than any producer in the twenty-two year history of the publication; The Wine Spectator has waxed poetic about Kistler Chardonnays with numerous 90+ ratings and picked the '92 Kistler Vineyard Chardonnay as its highest rated Chardonnay (94) in 1995. Although some producers can rival Kistler's efforts with very small quantities of top Chardonnay, no producer in the past four decades even comes close when one considers the fact that Kistler produces significant numbers and has done so at an awesomely high level of quality and consistency. The winery got off to a grand start with a trio of 1979 Chardonnays that were ballyhooed by every authority in the business, but the 1980 Kistlers were bottled too early and had problems with sulfide. Kistler took the very difficult and unprecedented step of recalling what could be salvaged - but not before the critics had a field day trashing them and dismissing Kistler as a "flash in the pan." Right from the start Kistler was an innovator with winemaking methods that were once considered "out on the edge". Malolactic fermentation was one such technique - they were the first winery to undertake it on a serious scale. Today it is accepted gospel among many California producers. They didn't - and still don't - cold stabilize their wines. In the beginning filtration wasn't part of the plan - though some are now lightly filtered. Bixler goes into the vineyards every day at 5 a.m. during harvest to make sure that those blocks promised for Kistler are not picked until they reach optimum ripeness. "When I talk to other wineries about range of sugars, I am amazed about what extent they find acceptable - by and large we look for a very narrow range", says Bixler. "Steve is back at the winery - I'm out there in the vineyards during the picking, doing the sampling, and determining when we pick. I have a degree of care, attention, and concern; and Steve has the same extreme interest. It is very advantageous to have two different people doing two different jobs with an equally high interest in the outcome". The winery has learned that about 40% new French oak is the right formula for aging their Chardonnays, but some bottlings receive as much as 100% new oak. The key to quality at Kistler is more than just the result of a highly talented team, lots of hard work, and intelligent effort - it is the special nature of their vineyards. Kistler owns outright only two of its six vineyard sites - the Kistler Vineyard, a 20-acre parcel that sits on the divide between Sonoma and Napa some 2000 feet up in the Mayacamas mountains and their new property on Vine Hill Road. Besides the winery's own vineyards, the relationship the partners have with their growers is crucial. Dutton Ranch in Sonoma's cool Green Valley has been in the Kistler camp since 1979 - Kistler gets very favored, low production sites on hilltops within Warren Dutton's famed vineyard. Another site which has yielded terrific Chardonnays for Kistler has been the Durell Vineyard. Although other wineries have produced Chardonnays that bear the Durell name, apparently Kistler also gets the most favored vines at Durell. Kistler's 1989 and 1990 Durell Chardonnays were our back-to-back picks for "Best Chardonnay of the Year" for 1991 and 1992 respectively. Kistler has high expectations for a new property, Camp Meeting Ridge Vineyard, located just two miles from the Pacific Ocean at an elevation of 2000 feet in Northern Sonoma County. This vineyard has yielded its first fruit from the '93 vintage - small amounts of Pinot Noir and Chardonnay were forthcoming in early 1997. The luxury of picking and choosing exactly what will wear the Kistler name has placed Mark and Steve in a very enviable position. At the end of the 1987 vintage Fred McCrea approached them and asked if they would take his grapes. The McCrea Vineyard is a low-yielding, extremely well-situated property with thirty-year-old chardonnay vines that yield Kistler about 2500 cases of wine. Kistler's first seven Chardonnays from McCrea fruit have been outstanding. Several years ago Kistler purchased a thirty-year lease on this vineyard, so the winery essentially controls the fruit from vine to bottle. That lease, and others being negotiated, are part of the Kistler/Bixler game plan, which calls for less reliance on growers and eventual total control over all grape sources used in Kistler wines. We would be remiss if we did not mention the tiny amount of a seventh Chardonnay called "Cuvée Cathleen", first released from the 1992 vintage. This wine is a selection of the finest barrels from all the vineyards - about half of it comes from the Kistler Vineyard. In June of 1996 we had an opportunity to taste with Mark Bixler both the 1993 "Cuvée Cathleen" and the 1993 Kistler Vineyard in a side-by-side comparison - both were fantastic wines with the edge going to the more opulent and flattering Kistler Vineyard bottling. An eighth Chardonnay from the Hudson Vineyard in Carneros was added in the 1994 vintage, would it be a surprise if we told you that this wine was another home run. Up until late 1991 Kistler made all their wines at a small, antiquated winery located next to the Kistler Vineyard on Sonoma Mountain. 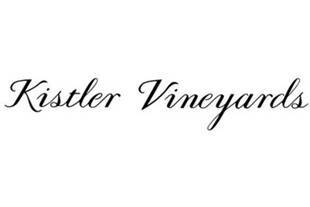 However, Kistler purchased a new twenty-acre vineyard site on Vine Hill Road a few miles west of Santa Rosa. There Kistler built an ultra-modern winery to handle all their grape sources. The adjacent new vineyard (referred to as the Vine Hill Road Vineyard) was planted in 1988 and first bore fruit in time for the 1990 vintage; the new winery was fully ready to receive the fruit beginning in the '92 harvest. This is a facility that was designed by a winemaker especially for his wines (not for tourists! ), with many unique features that appear to have taken Kistler to an even higher level of quality. Kistler also produces a small amount of Pinot Noir from the Vine Hill site, which supplements the Pinot Noir it now produces from the Dutton Ranch. Kistler has discontinued the Cabernet it once produced and has replanted the Kistler Vineyard with pinot noir. There is also a Pinot Noir from the aforementioned Camp Meeting Ridge Vineyard. The eventual plan is to offer as many different Pinot Noirs as Chardonnays. Kistler blends fruit from all of its vineyard sources to produce a Sonoma Coast bottling. The Kistler Sonoma Coast is the least expensive Kistler Chardonnay and is made in the greatest quantities (almost 7,000 cases). Essentially it's "leftovers"...of the sort we will be glad to drink anytime! The fantastic 1994 Sonoma Coast bottling was our pick for "Best Chardonnay of 1995" in The Wine News. The 1995 Sonoma Coast bottling was even better than the 1994 - the price also began to approach the single vineyard bottlings. 1996, amazingly, produced another excellent wine, released a little too late to be a candidate for the “Best of” awards. Kistler has become a perennial overachiever when it comes to Chardonnay. It would appear that Kistler is selecting much more carefully for this wine, and it is reflected in the price and the incredible quality. 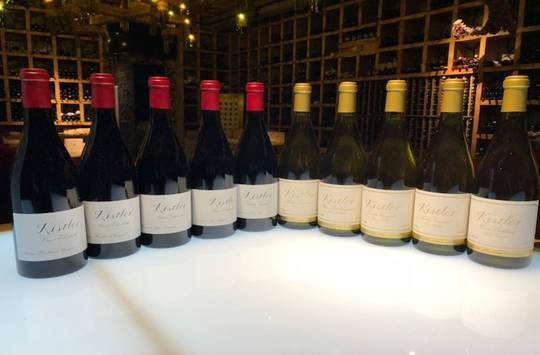 Kistler introduced two new bottlings to their line-up with the 1998 vintage, the Carneros appellation bottling and the Les Noisetier. 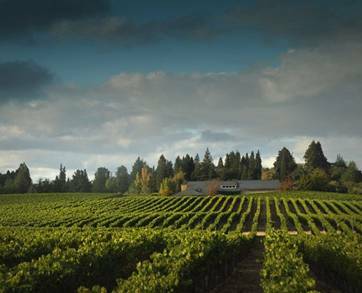 The Carneros bottling is the lightest and most elegant in the line, almost untypical for Kistler to produce an elegant and lighter styled wine, however there is still evidence of Kistler’s hallmark style, over-the-top toasty, rich, ultra-ripe. In addition to the Carneros Kistler is also bottling a wine called Les Noisetier, this is a blend of Dutton, Durell and a bit of Sonoma coast. The Sonoma Mountain bottling is just a shade lighter in depth and richness from the single vineyard bottling. Kistler’s wines are produced solely by native yeasts. Their barrels are crafted from French oak that is aged to our specifications and specifically tailored to our program. All of Kistler’s wines are bottled unfiltered and unfined. Kistler Chardonnay is barrel fermented in Kistler’s subterranean, gravel floor barrel rooms, and is aged sur lie in those same barrels, remaining for eleven to eighteen months until bottling. This was the first "Once in a Lifetime" tasting of 2019 and I wanted to make it extra special as this is my 50th year on the planet and I'm planning to take down as many KILLER bottles as I can this year. So, you know there will be a lot of Krug Champagne coming out and as many 1969 vintage wines as I have in my cellar! We started with the 2004 Vintage Krug Brut Champagne, this is a classic vintage for Krug, very different from the forward and seductive 2003 which is also in the market and not as tightly wound as the KILLER 2002. I have 6 bottles set aside for future evaluation as this is little man’s birthyear.